Fully integrated, the SIR 4000 provides a 10.4 in. high definition LED display, a simple user interface, plug-and-play GPS integration, and Wi-Fi enabled data transfer functionality. 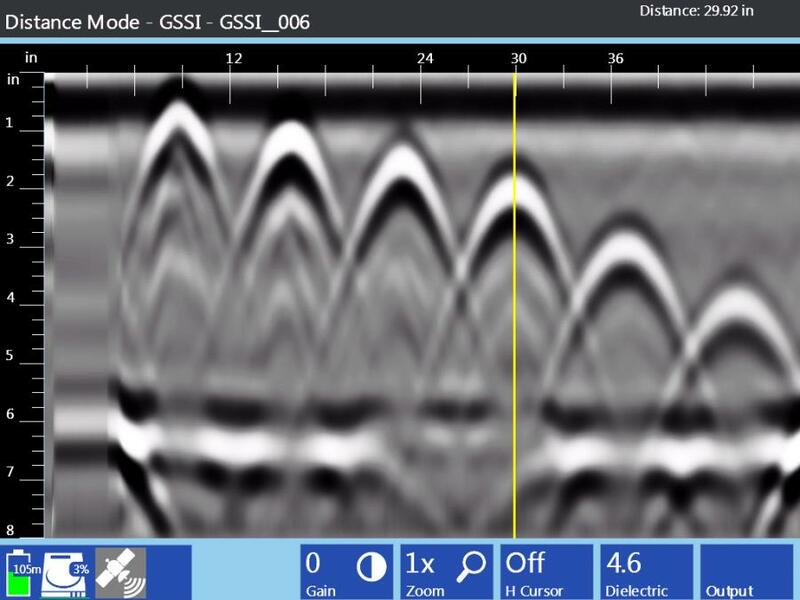 GSSI released updates to the SIR 4000 ground penetrating radar (GPR) control unit. The controller is designed to bridge the legacy of GSSI's traditional analog antennas with next-generation of digital offerings, giving it the flexibility by supporting a wide range of users in numerous applications. The updates bring the StructureScan 2D collection module to the controller, simplifying its use for the concrete construction industry. The StructureScan 2D collection module offers users greater flexibility for using the controller in concrete construction industry applications. The module includes high frequency antenna-specific set-ups to ensure survey efficiency, and enables the controller to automatically recognize smart antenna set-ups. Additionally, the update offers users the option of on-the-fly automatic gain to better enhance the data display, while still saving the file in the original raw format for post processing. The updated collection module also includes a horizontal zoom function, allowing users to increase the size of the data set up to 8x to resolve smaller targets, and a “save image” shortcut for quick reports. Fully integrated, the SIR 4000 provides a 10.4 in. high definition LED display, a simple user interface, plug-and-play GPS integration, and Wi-Fi enabled data transfer functionality. The SIR 4000 is designed with a number of exclusive features, including a casted aluminum chassis that offers superior temperature stability and an impact resistant design that combined, delivers a full IP 65 rated-able to withstand tough jobsite conditions. For pricing and availability, please contact your local sales representative. For more information, call 800/524-3011 or visit www.geophysical.com.